The all-crucial meeting of the GST Council to fix tax rates for goods and services got under way here today, with states pitching for their preferred rates for select items. The goods and services tax (GST) is slated for launch from July 1. 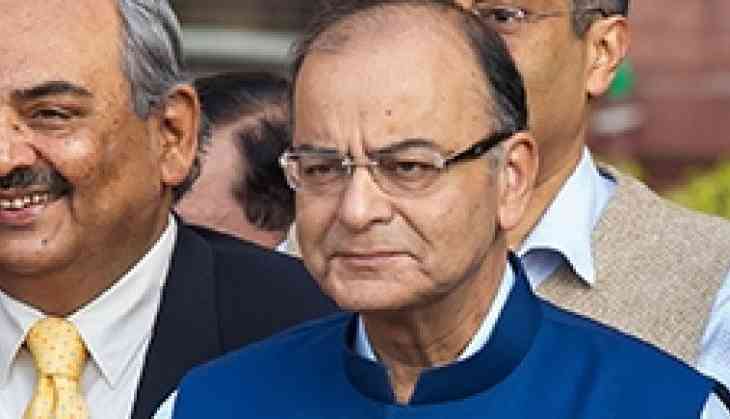 The two-day meeting of the Council, headed by Union Finance Minister Arun Jaitley and comprising representatives of all states, is working on fitting most of the items in the 5, 12, 18 and 28 per cent template. Kerala Finance Minister Thomas Isaac made a case for 5 per cent tax on gold under GST instead of 1 per cent being demanded by some quarters as he felt that the precious metal is not an essential commodity. Yogi Adityanath-led Uttar Pradesh reportedly is seeking zero levy on 'puja samagri' instead of the proposed 18 per cent. A few others are keen on only two rates for service tax -- 12 per cent and 18 per cent. Punjab Finance Minister Manpreet Badal said the fitment table will be decided in today's meeting. Deputy Chief Minister of Delhi Manish Sisodia has raised concerns over services that are to be brought under GST "because service delivery destination is vague and we should discuss this". Also, fitment or tax rate for telecom and insurance sector will be decidedbetween today and tomorrow, he said. Kerala favours fitment of tax rates in such a way that they are revenue neutral, which means it does not lead to either drop or rise in tax revenues of the government. Kerala, Isaac said, "wants minimum of 5 per cent tax on gold". "It's a luxury product and price of gold has quadrupled in the last one decade," he said. "Gold is not an essential commodity. What is the principle or idea of tax being imposed on it at 1 per cent rate? It is not a commodity for the poor." Host Jammu and Kashmir expects Rs 1,500 crore to Rs 2,000 crore in tax revenue from implementation of GST and may be the first state in the country to bring real estate within the ambit of GST. "This is the most important meeting because tax is to be decided and this is the concluding part of the GST Council," state Finance Minister Haseeb Drabu said. Stating that prices will come down for the common man under GST, he said importing state like Jammu and Kashmir will benefit. "Our estimate is we will benefit Rs 1,500-2,000 crore in tax revenue on GST implementation... As Jammu and Kashmir enjoys special constitutional position, the state will bring some changes when it enacts its law to integrate its indirect tax regime with other states," he said, indicating that real estate in the state may be included in GST. "So, we will bring in some changes and we will try and introduce the GST Bill within 30 days in the state legislature," Drabu said. Puducherry Chief Minister V Narayanasamy called for judiciously application of mind while deciding on rates so that "the common man is not burdened".